As you give thanks this holiday season, here's where you can give back to those in need in your local community. Between the ongoing California wildfire crisis and the upcoming Thanksgiving holiday, there's never been a better time to exercise those charitable muscles. One easy way to give back to the community, whether you live in Hawaii, Alaska or any state in the contiguous 48, is to donate food, money or your time to a local food bank. Through their vast networks of food pantries and other agencies, food banks feed millions of food insecure Americans every day. Here is a list of 50 food banks in every state that are currently welcoming your help this holiday season and beyond. The Food Bank of East Alabama's popular Plant-A-Row for the Hungry campaign was launched in 1995. It encourages local farmers and gardeners to plant an extra row of crops and to donate the surplus harvest from that row to the food bank. Another creative way to give to this Auburn-based organization is by donating stocks, bonds and mutual funds. By donating your securities, you're reducing your capital gains tax and receiving a tax credit. Every year, the Fairbanks Community Food Bank relies on 18,000 volunteer hours to provide over 2 million pounds of food to the community. It estimates that one in eight residents, or about 12,000 people, are at the risk of going hungry. In addition to offering traditional food box services, the Community Food Bank has a unique Move For Hunger program. If residents move, and book moving services through a participating program, the movers will collect any food that would normally be tossed. They'll then drop it off at the food bank where it gets distributed to families in need. Located in Arizona's largest city, Phoenix, St. Mary’s Food Bank Alliance distributes food to nearly 500 non profits including food pantries, dining halls, homeless shelters and more. But it also goes beyond the city limits. Its network reaches across 13 of the state's 15 counties. One of St. Mary's biggest initiatives, and sources of fresh produce, is its gleaning program. Residents with citrus trees on their property who wish to donate their fruit can call St. Mary's Food Bank Alliance, which will send out a crew to collect the donation. About one in every eight residents, or 63,000 people in total, living in the four counties served by this food bank are considered to be "food insecure." Northwest Arkansas Food Bank is headquartered in Bethel, but each month it deploys 10 mobile pantries to more remote areas considered to be food deserts. Each year the food bank tries add more stops to its route and is always accepting monetary donations to help those expansion plans. The Sparks would like to give a big thank you to @LAFoodBank for having us yesterday. We sorted & organized over 9,200lbs of food, providing over 7,500 meals to those in need in the LA community. The Los Angeles Regional Food Bank serves more than 300,000 people per month. Celebrity volunteers include Nick Jonas, Sheryl Crow, Courtney Cox and Kim Kardashian West who took her daughter, North, with her the last time she volunteered. If you'd like to donate to the victims of the wildfires in California but don't live in the state, check out the food bank's Virtual Food Drive. It's a fast, easy and convenient way to shop for products and donate them right from your computer. The Weld Food Bank likes to stress that every piece of produce helps, from a single homegrown zucchini to a trailer full of potatoes. At a commercial level, it works with both local and national donors to reduce food waste that can otherwise serve others. With the community's generous support, the food bank is able to fill boxes of food with menus designed by a licensed nutritionist to serve a family of four for three days. In addition to serving more than 300,000 Connecticut residents who struggle with hunger, Connecticut Food Bank got involved helping out after Hurricane Florence hit North Carolina. This food bank is located in Wallingford where it reports the demand for fresh produce often exceeds the supply. To help meet this need, consider opting into the Dedicated Planting program where extra rows of produce in your garden are donated to the food bank. If your garden is big enough, the food bank will even send out a crew to help glean it. To better serve the entire state, the Food Bank of Delaware has two locations: one in Milford and one in Newark. What sets it apart from other food banks in the country is its pilot program "Produce Prescription." Local doctors and hospitals refer at-risk patients to the food bank by providing them with a prescription. This prescription is good for 25 pounds of fresh fruits and vegetables each month. That said, Food Bank of Delaware can always use donations, in food or cash, as it distributes thousands of pounds of food on a monthly basis. Central Florida residents who don't want to cook Thanksgiving dinner can order their family's feast from Second Harvest Food Bank of Central Florida's "Catering for Good." All of the proceeds from the catered meals are invested into the food bank's Culinary Training Program which serves at-risk individuals in the community. This year, for the first time, the food bank will also be offering a holiday dinner deal during Christmas. For $135, you can feed up to 10 people and support others at the same time. Middle Georgia Community Food Bank is once again partnering with the local government to help feed the hungry this holiday season. Residents who have an outstanding city parking ticket can bring in $10 worth of canned goods in lieu of paying their fine. After Thanksgiving, the amnesty will continue when ticket holders can also bring in toys for children instead of paying cash. Note: these donations must be made at the office where tickets are paid, not at the food bank's Macon location. To help support the island's low-income individuals and families this Thanksgiving, the Hawai`i Food Basket is soliciting community support by hosting a Turkey Trot. If you choose to make a cash donation to the food bank, remember to specify if you want it to go toward the Hurricane and Lava Flow Disaster Recovery Fund. This fund also welcomes donations of supplies such as can openers, flashlights, mosquito spray and duct tape, which all came in handy after the Kilauea lava flow evacuations in May. Consider donating a frozen turkey to the Idaho Foodbank this holiday season before sitting down to eat your own bird at Thanksgiving. You can also drop your turkey off at any of Les Schwab’s 30 locations throughout the state. In December alone, the food bank aims to serve more than 2.7 million meals to residents who would otherwise go hungry. Although their reach extends across six states (and even into East Africa and Haiti), Illinois is the state where the Midwest Food Bank has the largest impact. Recently, Midwest Food Bank's Arizona branch partnered with The Salvation Army in California to distribute relief items to the victims of the devastating Camp Fire. With a very lean staff, a large volunteer base and efficient national operations, Midwest Food Bank is able to apply over 99 cents of every dollar donated to directly help those in need. Via 250 partner agencies, Gleaners Food Bank distributes food to hungry Hoosiers in 21 of Iowa's 99 counties. Gleaners also has a regular Senior Shopping Day where seniors come in to select their groceries, much like shopping in a store. On these days, the food bank needs volunteers to help the seniors carry their bags. Veterans are another major group served by Gleaners Food Bank. Veterans or active duty military members make up 20 percent of the families it serves. Donors can also make a tribute gift in honor of a late veteran. Although Food Bank of Siouxland gladly accepts food donations and participates in the annual nationwide Letter Carriers' Stamp Out Hunger Food Drive (when you can leave food on your doorstep to be collected by your letter carrier), monetary contributions are often better. For every $1 donated, the food bank is able to obtain 13 pounds of food. Much of the food bank's inventory comes from local retailers like Target, Panera Bread and Walmart. Wichita's Kansas Food Bank serves an 85-county service area. Annually, it helps feed more than 215,000 residents. Since the need for food donations is so great, it encourages those who want to donate to go one step further by hosting a food drive. Kansas Food Bank will even provide the bins, barrels and signage. God’s Pantry, located in Lexington, is currently hard at work with its Sharing Thanksgiving campaign. Cash and food donations are needed as volunteers are busy packing boxes with all of the fixings for a traditional Thanksgiving dinner. Once full, these boxes will be distributed to families who have demonstrated a need for food and are registered to receive them. Annually, God's Pantry feeds more than 200,000 people across 50 counties in Central and Eastern Kentucky. November and December, when Baton Rouge Zoo hosts ZooLights, are really good months for the Greater Baton Rouge Food Bank which delivers over 10 million meals annually. That's because every zoo visitor who brings an item of non-perishable food during the holiday season receives a 50 percent discount on admission. Year-round, however, the food bank has a need for "barrel buddy" volunteers. These volunteers check and empty barrels located throughout the 11 parishes served by the Greater Baton Rouge Food Bank. Annually, The Good Shepherd Food Bank sources and distributes 24 million meals to 200,000 residents across the state. Both its Auburn and Hampden locations welcome donations of home-grown produce. But perhaps the best way to help The Good Shepherd Food Bank is by making a monetary donation. Your dollar goes a lot further this way since the food bank has partnerships that allow it to purchase food at subsidized, wholesale prices. Throughout November, Maryland Food Bank is teaming up with community agencies and corporate partners statewide to host “Pack to Give Back” events that will bring hunger relief directly to local communities. These packing events will take place in several counties the Maryland Food Bank serves. Combined, they provide more than 60,000 holiday meals for Maryland residents in need. In 2017, the Maryland Food Bank distributed enough food to provide 37 million meals, or roughly 102,000 meals a day. Massachusetts: Open Pantry Community Services Inc.
Open Pantry Community Services Inc., located in Springfield, is once again hosting its Holiday Meals program. These free, communal dinners provide a traditional holiday meal for thousands of people in need of food or for those who simply don't wish to spend Thanksgiving, Christmas or Easter alone. In addition to servers, volunteers are needed to deliver meals to the homebound. P.A.W.S. of Michigan wants to make sure no one goes hungry this holiday season, including family pets. That's why the Riverview-based animal welfare group is hosting its second annual Pet Photos With Santa on Dec. 1. For a donation of pet food, or cat litter, families and their pets can get a free photo with Santa. P.A.W.S., which is entirely run by volunteers, stands for precious animal welfare society. Every year, nearly 5 million pounds of food makes its way from this Grand Rapids-based food bank into the homes of individuals and families in need. When Second Harvest North Central Food Bank surveyed local communities they serve about strategies they implement to cope with hunger, they found that 31 percent of respondents said they water down drinks or food to stretch them out, and 83 percent eat unhealthy foods because they're inexpensive. The latter figure is why the food bank makes sure to accept fresh produce and Minnesota farmers are encouraged to donate their surplus harvests. This Jackson-based organization encourages residents who shop at Kroger grocery stores to go online and link their Kroger Plus Cards to the Mississippi Food Network. In doing so, a percentage of each purchase is donated to the food bank. With these quarterly donations from Kroger, food is purchased and distributed to Mississippi Food Network's more than 400 partner agencies which feed nearly 2 million people across the state annually. Mississippi Food Network also benefits from purchases made using Amazon Smile. On Dec. 9, the Montana Food Bank Network will host its statewide "Hops Against Hunger" pint night event. On this evening, the food bank receives a portion of every pint sold at the 30 participating breweries around the state. Montana Food Bank Network also has a unique “Hunters against Hunger” program where hunters can donate their legally harvested big game animals: deer, elk, antelope, moose and wild bison are all accepted. One in every five children in the city of Lincoln, Nebraska, lives in poverty. To help residents understand what life is like for these kids, the Food Bank of Lincoln recently hosted a unique role-playing event, Poverty Experience, that provided powerful insight into their daily struggles. Upcoming initiatives the food bank is participating in include #GivingTuesday when every $10 donation will provide nearly 30 meals to local children and seniors in need. The Sparks-based organization plans on serving more than 100,000 people during the upcoming holiday season. In addition to non-perishable foods, Food Bank of Northern Nevada also relies on donated fresh produce year round. Its "Plant a Row" program encourages gardeners with any size gardens to set aside a special row, or even an entire bed, in their garden for the food bank. Located in Manchester, this food bank is currently partnering with the local YMCA. 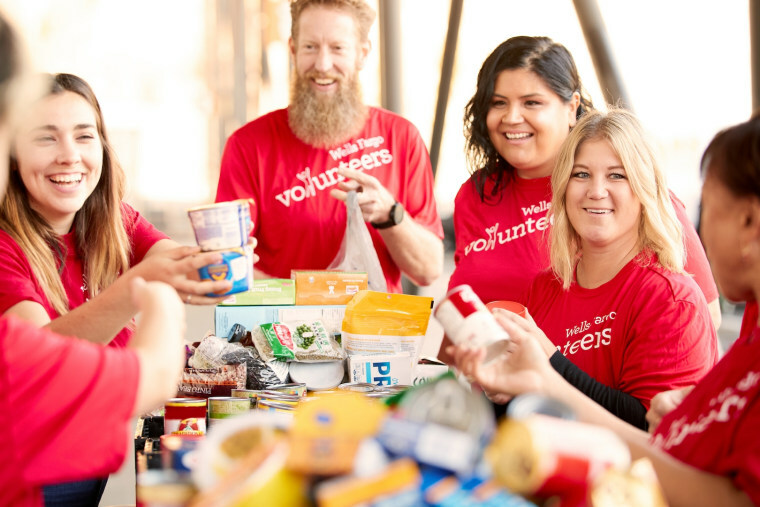 During the month of November, YMCA members can get a free 7-day pass for friends and family with every donation of seven non-perishable items. New Hampshire Food Bank is also always looking for new members to join its Hunger Club. Hunger Club members commit to monthly gifts of any amount which are automatically withdrawn from their accounts on the 15th of every month. In addition to serving food, New Jersey's largest food bank has a Period Initiative and is always in need of feminine hygiene products. Year round, the food bank partners with the National Diaper Bank Network to hand out monthly period supplies to low-income, homeless and sheltered girls and women excluded from federal assistance programs. Community FoodBank of New Jersey is the first food bank in the country to formalize a distribution of menstruation supplies. New Mexicans in need can get a little extra help from the Roadrunner Food Bank, and hunters, this holiday season. The food bank's "Hunters Helping the Hungry" program welcomes hunters to donate their legally harvested game which is then distributed to soup kitchens throughout the state. Cash donations, which are always accepted, also help to pay for the butchering and processing fees. Buffalo's Food Bank of Western New York is once again partnering with 97 Rock's DJ Jickster for the 13th Annual Operation: Rock Out Hunger. The week-long event, which ends on November 21, takes place in the Millard Filmore Suburban Hospital parking lot. Bring donations of non-perishable items and/or frozen turkeys. Then, stay to watch DJ Jickster spins music from his DJ booth set up on the back of a Food Bank of Western New York trailer. Kenzie Hinson hasn't started a food bank, yet. But the recipient of the 2018 Gloria Barron Prize for Young Heroes was only 12 when she founded Make a Difference Food Pantry in Mount Olive. This year the pantry plans on providing more than 250 meals to school children during their holiday break. Make a Difference Pantry also played an important role in the community after Hurricane Florence. Despite experiencing flooding and being moved to a temporary location, the pantry was still able to serve 900 plates of food a day. Located in Fargo, Great Plains Food Bank welcomes harvest donations from farmers and ranchers across the entire state and even into western Minnesota. In terms of boxed and canned goods, the food bank is in dire need of gluten-free options which are often too expensive for the people it serves. Hosting a gluten-free food drive is often one of the best ways to contribute to any food bank. Greater Cleveland Food Bank is preparing to serve up hot holiday meals at 33 sites in Cuyahoga, Lake and Ashland counties. In other words, there are plenty of volunteer opportunities. For food donations, the six most needed items are canned beef stew, canned soup, canned vegetables, canned tuna, peanut butter and cereal. In terms of monetary donations, every dollar donated to Greater Cleveland Food Bank provides four nutritious meals for community members in need. This Oklahoma City-based food bank offers free monthly “Food for Thought” tours. These tours give visitors a behind-the-scenes tour of the facility where it's not uncommon to see more than 100 volunteers a day sorting and packing food for distribution. During November, the Regional Food Bank of Oklahoma is teaming up with 30 local Whataburger restaurant locations and the Oklahoma City Thunder basketball team to offer promotions including free burger coupons in exchange for donations and even the opportunity to win an autographed NBA basketball. The Josephine County Food Bank in Grants Pass serves 11,000 people monthly. In addition to accepting donations, it’s always looking for hands and tools to help maintain its community garden. Since the garden was first planted in 2001, it has harvested hundreds of thousands of pounds of produce. The fruits and vegetables are included in the food bank’s emergency boxes which are distributed to families and individuals throughout the county. When Philabundance was founded more than 30 years ago, its headquarters was the founder’s Subaru car. After exponential growth, it now has a brick-and-mortar location and is able to feed 90,000 people each week, with help from more than 40,000 individual donors. This holiday season, Philabundance is teaming up with Wells Fargo for its Second Annual Holiday Food Bank. Simply visit any Wells Fargo in Philadelphia (or any of Wells Fargo's 5,700 branch locations nationwide), to donate food or money. A portion of the donations which will directly benefit Philabundance and the families it serves. Located in Charleston, the Lowcountry Food Bank is responsible for assisting the state’s 10 coastal counties. It's always looking for kitchen volunteers to help prepare meals, but at the moment its Harvest Generosity holiday campaign is its No. 1 priority. The goal is to raise $25,000, of which $4,400 has already been raised. To help potential donors determine how much to give, Lowcountry Food Bank recommends keeping in mind that just $84 can help feed a family of four for an entire week. While fresh produce is one of the most in-demand foods in South Dakota, it’s also one of the least donated. That’s why Feeding South Dakota, which distributes 14 million pounds of food annually, encourages people to contribute produce purchased from the grocery store or harvested from their fruit trees and gardens. This Thanksgiving, it’s also requesting frozen turkeys and “holiday fixings.” The food bank’s Thanksgiving Meal Give-A-Away is aiming to feed a hearty holiday dinner to more than 3,000 families statewide. One of the country’s largest food banks, Second Harvest Food Bank of Middle Tennessee hopes to help provide 200,000 turkey dinners this Thanksgiving. It’s also participating in #GivingTuesday when its social media accounts will post with details on how to donate. The Nashville-based food bank estimates that one in eight residents in Middle Tennessee don’t know where their next meal will come from. The San Antonio Food Bank may be located in the city, but in all, it provides food to 16 counties in Southwest Texas. One of its unique initiatives is its San Antonio Food Bank farmers markets where fresh fruit and vegetables, some of which is grown in the food bank’s own garden, are brought to food deserts where fresh produce is not readily accessible. On Thanksgiving, it also hosts its Turkey Trot, a 5K run and walk in historic Downtown San Antonio. Every registration is able to secure a turkey dinner for a deserving family. What’s more, the event is pet friendly. Founded in 1904, Utah Food Bank is one of the country’s oldest food banks. It’s located in Salt Lake City but serves all 29 counties in Utah. One of its most popular fundraising events is its annual Human Race, making fun of the more common Turkey Trot. On Thanksgiving morning, Utah Food Bank hosts 5K and 10K runs where all proceeds from registration go to fighting hunger in the local community. If you’re interested in running, don’t forget a costume and be prepared for a big crowd. In 2017, there were nearly 5,000 participants. The Vermont Foodbank, located in Barre, estimates that 25 percent of the state’s population battles hunger. It works with 215 network partners to provide them with food, including surplus produce from Vermont farms and gardens. Currently, it's asking the community to consider contributing money to its Thanksgiving For All fund which will provide families in need with turkeys for Thanksgiving. So far, the food bank has raised about $22,000 of its $35,000 goal. This food bank's main office and warehouse is in Norfolk, but its service area extends to cover a 4,745 square mile area. Each year, the Foodbank of Southeastern Virginia and the Eastern Shore helps distribute an estimated 15 million meals. While food donations are always welcome, the food bank prefers cash donations. Thanks to its partnership with retailers and wholesalers, it's able to buy about $60 worth of food for every $10 cash donation. There are more than 40 agencies and programs depending on this Vancouver, Washington, food bank. In all, Clark County Food Bank provides about 5.5 million meals a year to 65,000 residents. Much of this food comes from its growing "Farming and Gleaning Program." It also plants produce on 12 acres of donated farmland and is able to cultivate more than 100,000 pounds of vegetables a year. If you don't want to give money or food donations, considering volunteering in the garden. Mountaineer Food Bank is West Virginia's biggest provider of emergency food. Located in Gassaway, its central location allows it to provide more than 15.3 million pounds of food annually. In addition to dropping by the food bank to hand off pantry and household donations, consider throwing a packing party. Mountaineer Food Bank even provides a how-to guide for hosting these hunger awareness-themed social gatherings. Every year, nearly half a million Wisconsin residents benefit from Feeding America Eastern Wisconsin. The food bank, which has a location in Milwaukee as well as Appleton, is encouraging those who want to donate this holiday season to contribute $15 which will be used to purchase one turkey for a deserving family in the community. The food bank estimates that one in seven individuals in Eastern Wisconsin are unable to afford to buy a turkey for Thanksgiving. What’s more, the donations will be matched by the supermarket chain Sendik's. Wyoming’s only food bank serves all 23 counties in the state and provides more than 23,000 meals a day. For every $1 donated to Wyoming Food Bank of the Rockies, four meals are provided to food-insecure individuals and families. This Thanksgiving, the Evansville-based food bank is hosting its annual Gobble Gobble Give campaign. While shopping at local businesses in November, look for a turkey-themed change jar at the checkout counter. Any change you drop in the jar will be used to buy holiday dinners for families who would otherwise not be able to afford the meal.